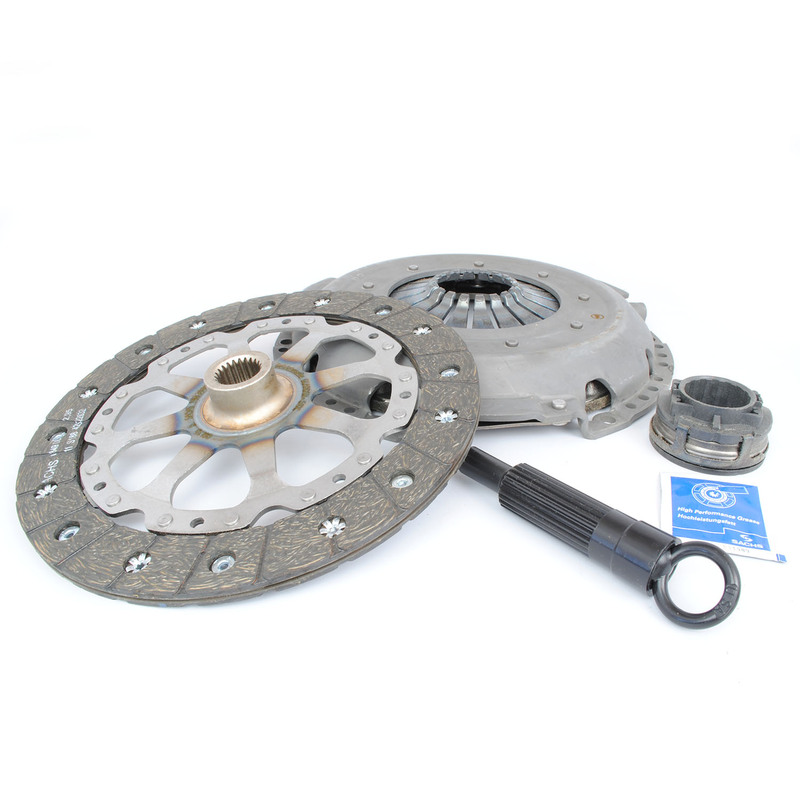 Replacement clutch kit for your Porsche by Sachs. Sachs is the OEM supplier to Porsche for clutches. Our kit includes the necessities when changing your clutch; OEM pressure plate, OEM disc, OEM release bearing, pressure plate bolts (not shown in picture) and spline grease. *This kit is a direct fit upgrade for the 97-04 Boxster.